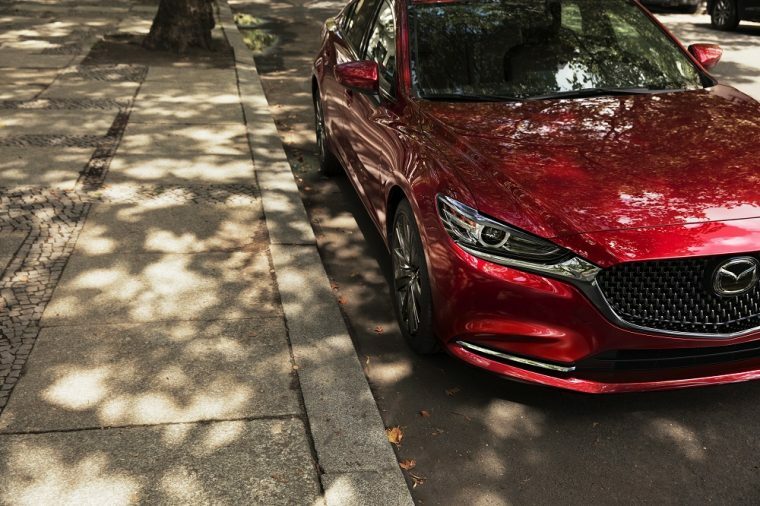 The Mazda6 has fallen on some hard times lately, as the crossover market has stolen sales from full-size sedans across the industry. However, Mazda isn’t giving up on its flagship passenger car, and announced a fresh round of major updates, the third since the model’s full redesign back in 2012. Perhaps the most exciting update is the addition of a new engine option: a SKYACTIV 2.5-liter turbocharged four-cylinder—the same that is currently used in the brand’s largest model, the three-row CX-9 SUV. Mazda boasts that this engine produces torque on par with a 4.0-liter V8. It certainly is a power boost over the standard 2.5-liter engine, which makes 184 hp and 185 lb-ft of torque—the turbo engine in the CX-9 makes 250 hp and 310 lb-ft of torque. Even More Mazda: Want to know what the IIHS thought of the CX-5? The exterior styling has been updated somewhat, using the concept of “Mature Elegance,” which is in keeping with the brand’s new style direction that was revealed at the Tokyo Motor Show with its VISION COUPE and KAI CONCEPT. The brand described the new direction as a “more mature expression of KODO.” All in all, that means a new front fascia and smoothed-out body creases. 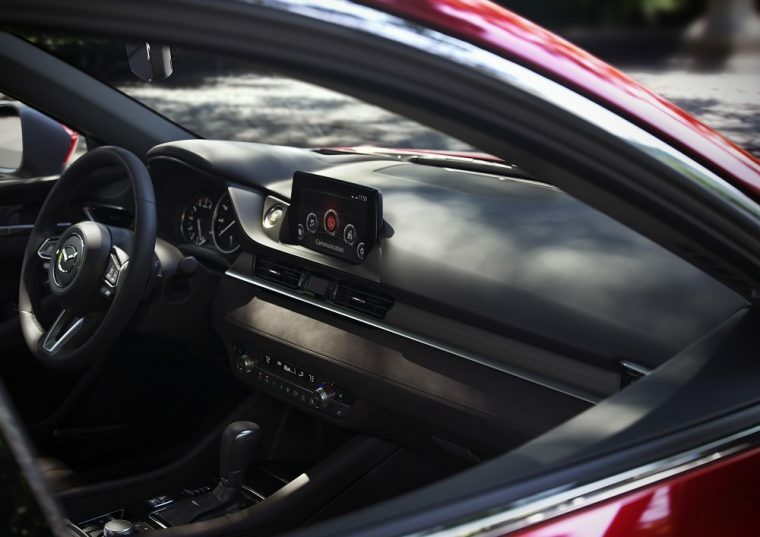 On the inside, the Mazda6 receives new Japanese Sen Wood trim elements, and access to more of the brand’s i-ACTIVSENSE safety systems, including Mazda Radar Cruise Control (which will take the car to a stop and back again) and the brand’s new 360-degree View Monitor.